Institute was founded in 1951 and it is one of the oldest scientific establishments Republican Academy of Sciences. It’s first director was famous Russian historian and orientalist, academician of the Academy of Sciences Republic of Tajikistan A.A.Semiyonov. Later the directors of Institute were academicians Z. Sh. Rajabov(1959-1962years) and B.I.Iskandarov(1962-1988) From 1988 till 2015years A.Donish Institute of history, archeology and ethnography was guided by academician R.M.Massov. From April, 2016 to present this Institute guided doctor of historical sciences, professor Zikriyo Akrami. Since its creation, the Institute became a scientific institution, developing problems of history of the Tajik people from ancient times to the present days. Currently, the structure of the institute has 6 departments: Ancient, Medieval and Modern History; Recent History; Archaeology; Ethnography; Science and Technology; History of Culture and Arts. The Institute has also archaeological databases of: -Kabadi, Teguzaksku and Pendzhikent-Sarazm, the last of which in 2010 was included to the UNESCO World Heritage list. Хульбук 1, IX-XII вв. н. э. During the years of the Tajikistan Republic independence the Institute was prepared dozens of monographs devoted to currently important topical problems of history. Among them are a series of three books dedicated to academician R.M. Masova one of the most important issues of regional history-national-territorial demarcation of Central Asia and the fate of the Tajik people in the process: "The history of clumsy separation (1991);" Tajiks: history with the stamp "top secret" (1995); "The Tajiks: displacement and assimilation" (2003) and, finally, in 2008, trilogy was published all these works-Tajiks: the story of the national tragedy. " 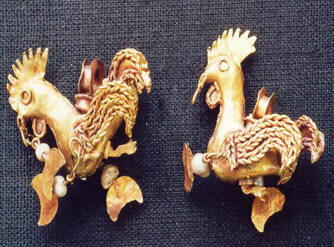 For many years the Institute carries out archaeological work in conjunction with the Institute of Oriental Studies of the Russian Academy of Sciences, the State Hermitage Museum (Saint Petersburg) and the Institute of history of material culture of the Russian Academy of Sciences, as well as with archaeologists from Germany, France, Italy, Japan and China. Хульбук 3, IX-XII вв. н. э. Archaeologists investigated the complex problems related to the origin and development of humanity and primitive society on the territory of Tajikistan in the most ancient period of history. In the Eastern Pamirs, they had found the Highland Stone Age campsites, studied extremely peculiar earlier Neolithic culture. 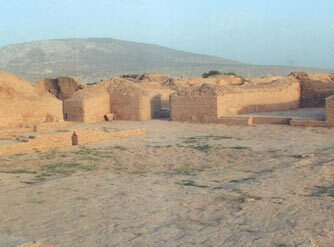 About twenty excavated parks cover all the periods of the Stone Age-from one million to 5 thousand years. Thanks to the collaboration with geologists work in Tajikistan for the first time in Central Asia was carried out of the Stone Age monuments in binding to the stratigraphical units of the Pleistocene. 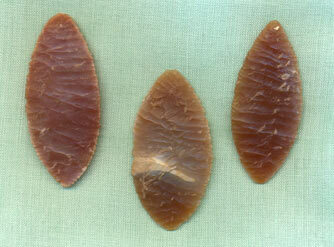 These studies have substantiated the first periods of the Paleolithic in Tajikistan and Central Asia. As a result of these works in archaeological science were introduced such as the Division of theoretical propositions, Paleolithic industries of Central Asia into Western and Eastern; view of two major migrations of primitive tribes; application of mathematical-statistical method in archaeology of the stone age. Tajik archaeologists V.A. Ranov belongs to the development of chronology and stratigraphy of the loess "Paleolithic"-new directions in archaeology of the Stone Age. These studies complement the rich list of monuments of the stone age of Tajikistan, which showed that at a late stage of this era has progressed intensive settlement of this territory of primitive people. Confirmed previous findings that the Neolithic Hissar culture in loess regions of Tajikistan, unlike the other two historical and cultural communities of that time in Central Asia evolved on its own path. The novelty of the research lies in the fact that on the monuments highlighted some of the differences in the techno-typological indicators that gave rise to allocate local variants in the Hissar culture industry. It was revealed that the monuments located outside the zone worn (Takhti-Sangin), the industry tends to Neolithic Plains in the zone of Amudarya. The first discovery of a rich burial early century reduced the gap, millennial available between the cultures of the late stone age and the Bronze Age era in southern Tajikistan. 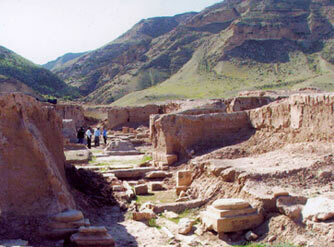 This allowed much more ancient monuments of the Bronze Age in southern Tajikistan, and dating them (III) thousand. As a result of protracted joint Tajik - French researches of center ancient agricultural culture of central Asiatic country between of Sarazm (the second half of IV is the first half of II of thousand B.C.) 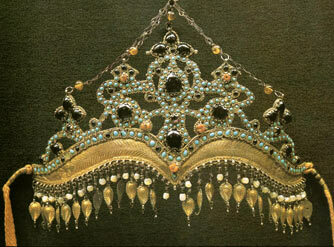 it was succeeded to set the new level of community of ancient civilizations of Central Asia and countries Middle East. Гиджовак 1, II тыс. до н.э. Based on the enormous archaeological material collected as a result of research in GBAO in Tajikistan for the past 50 years, has been prepared and published "an archaeological map of the Western Pamirs" (2008). 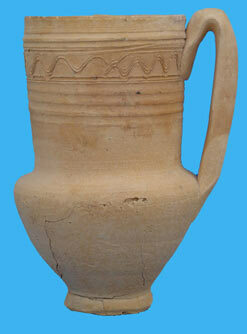 It is being prepared for publication an archaeological map of the Eastern Pamirs at the moment. A genuine sensation became the opening of a Buddhist monastery in the South of Tajikistan the Ajina-Tepa, extremely interested by scientific community. The importance of it is that it has allowed to highlight new single stages of the history of the inhabitants of these places, their connection with the civilizations of the neighboring countries. An important contribution to science was also made the study of monuments from the late Middle Ages, such as Hulbuk, Khujand and others and the history of mining and irrigation. Tajik ethnographers survey areas Garm region-in the Surkhob within Karategin and Darvaz. The results of the survey formed the basis of a volume consisting of three editions, monographs: "Tajiks Karategin and Darvaz, which gives the key to understanding the issues related to the jetnogenezom of the Tajik people and its links with others, genetically close to him people. Currently in stock of the Department of Ethnography Institute has over six thousand. 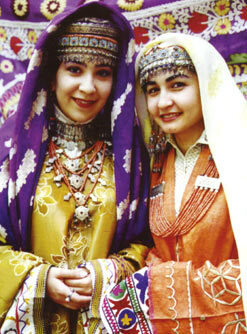 Artifacts of Tajiks. 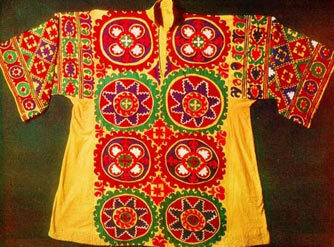 Ethnographic collections were exhibited repeatedly at various exhibitions, both in the Republic and abroad. With the Organization in 1958, in the Institute of history of arts sector began the systematic collection of materials on the history of culture and art of Tajik people. In the Pamirs, in areas of the Zerafshan Valley, Nurek, Khujand, Garm and Bukhara region of Uzbekistan were directed special criticism of the expedition, which in a short time have gathered great stuff on all types of applied art, musical folklore, folk theatre and dance. On the basis of these materials published four art collection, in which in addition to the field of materials includes articles on the history of art, theatre, music, as well as the album on applied arts and monographs. In recent years, Tajik art was enriched by such fundamental works as "The musical art of the Pamir" (1-3 t.), Theatrical and musical life of the capital of the Samanid State "N. Nurjanov" Tajik Art of woodcarving "M. Ruziev," according to the laws of beauty (essays on the arts and crafts of Tajikistan» N. Belinskaya, N. Unusova, M. Ruzieva, "The art of Central Asia in the era of Avicenna, L.S.Aini "N. Nurjanov, b. Kabilova, "essays on the history of the Tajik Theatre" N. Nurdjanov, "history of compositional creativity in Tajikistan" by B. Kabilova "The art of architects of upper Zeravshan» R.Mukimova. Currently, the priority areas of research in the field of history of culture and arts is the preparation of a set of monuments of culture, the study of music and performance traditions of Tajiks in antiquity and the middle ages, as well as the history of acting schools in Tajikistan. In the field of history of science and technology of the Tajik people in the years of independence of the Republic of Tajikistan conducted a study of the level of development of mathematical, physical, astronomical and medical research in global and regional scientific centers of medieval East, as well as the contribution of scientists of Tajikistan in the development of fundamental and applied research in the period 1924-2010. The objective of work in this area-the study of the level of scientific and technical knowledge of Tajiks and their ancestors in ancient times, the middle ages, the new and the newest time, identifying the priority of Tajik scientists in various fields of exact and natural sciences on the medieval East, as well as the contribution of Tajik Science World Science. Despite the fact that the Tajik historical science in the 90-ies has experienced all the hardships of socio-economic transformation and political upheaval, she not only retained the main scientific potential, but also has made great strides in researching the Tajik people. Perhaps the most vivid example of the success of the Tajik historical science in this period was the discovery in 2001 the National Museum of Antiquities, claimed in its walls the unique archaeological finds unearthed Tajikistan over the past half-century. Its rooms shows archeological finds discovered at such well-known sites as Sarazm, Takhti-Sangin, Ajina-tepa, Pendzhikent settlements, Shakhristan, Kurkat, Kafir-Kala and etc., which annually presented at exhibits. In 2007 for the creation of a single museum complex at the National Museum of antiquities the Museum of Ethnography, was also moved, where there are a collected unique artifacts of Tajiks from the second half of the 19th century. A restoration technology laboratory works at the museums. Женский костюм. Истаравша, XIX в. In 2002, the Institute began operations branch of the French Institute for Central Asian Studies (IFEAC), which facilitates the implementation of research projects in Tajikistan and interchanges between researchers. Thus, Tajik and French scientists-genetics in 2005, conducted joint research on determining the genetic affiliation of the population of Tajikistan. The Institute has a Memorial scientific library named after A.A. Semyonov. In 2003 from the archive of the Academy of Sciences of TAJIKISTAN it transferred personal collections of A. A. Semenov and M. S. Andreev. The library is regularly updated with regular scientific publications of the Institute. Currently, the Institute has 85 employees, 19 of them are doctors of Sciences (including 1 academician TAS , 1 corresponding member of Academy of Sciences of the Republic of Tajikistan) and 20 candidates of Sciences. The Institute operates dissertational Council on protection of dissertations on competition of a scientific degree of the doctor of historical sciences and approved WAC of the Russian Federation.